In this month’s issue of MCV, NIS America president Takuro Yamashita reveals some very interesting information about Switch. Yamashita revealed a deal is in place with Nintendo on SNK, spoke about how the company’s Switch games are outselling their PS4 counterparts, and gave an update on the performance of Disgaea 5 Complete. 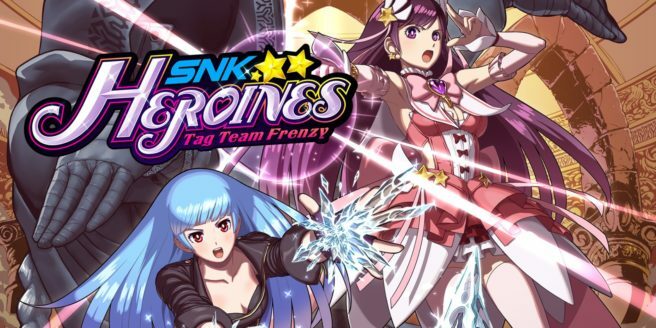 Yamashita first discussed SNK Heroines: Tag Team Frenzy, and revealed some details about working with Nintendo that hadn’t been known previously. Nintendo actually wanted to work with SNK on an exclusive basis, which eventually resulted in a deal. Only the Switch version will be sold physically in the west, and Nintendo will be a distributor that includes buying many units. Later in the interview, Yamashita spoke about strong sales of Switch, especially in relation to PS4 versions. Yamashita estimates that for simultaneous releases, NIS America’s Switch games are selling twice as much as their PS4 counterparts. Finally, Yamashita talked about Disgaea 5 Complete, which was NIS America’s first game on Switch. In the west alone, it’s nearly at 200,000 units sold.